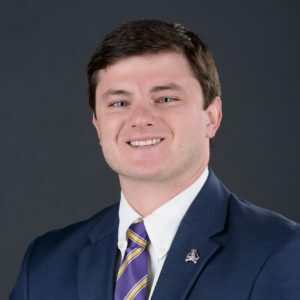 Brad was named the first General Manager of East Carolina University in March of 2016. Brad began his career with IMG Learfield Ticket Solutions as an Account Executive at Virginia Tech. From there he transferred to the University of South Carolina and was promoted to Senior Account Executive. After emerging as a leader on the South Carolina staff Brad was able to earn the GM promotion in less than 2 years with IMGL. He is a native of Greenville, South Carolina and a 2014 graduate of the University of South Carolina, with a degree in Sport & Entertainment Management.